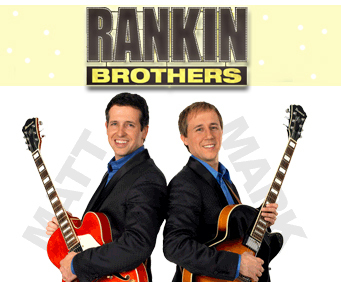 The Rankin Brothers are no longer playing in Branson, it is unknown when or if they will return. The Rankin Brothers promise to give you an evening of world-class musical entertainment on your trip to Branson. This popular musical duo features the two brothers, Matt and Mark, live on stage and backed up with talented supporting vocals and band members. They originally grew up in West Texas and developed a love for the music of the '50s and '60s. 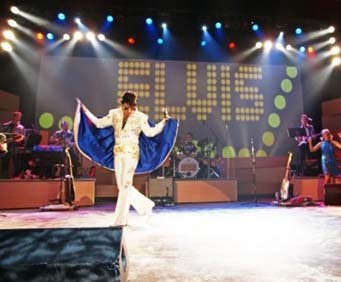 During the show, their admiration of performers like the Beach Boys, Buddy Holly, Elvis Presley, and others really shines. The Rankin Brothers also work in some tunes from more modern artists like Faith Hill, Billy Joel, and Eric Clapton to give you a varied night of entertainment for all ages to enjoy. The soulful voices of the Rankin Brothers are backed up by a full five-member band with a bassist, guitarist, keyboard player, saxophonist, and more. The Rankin Brothers and their fantastic female back up singers will delight you with amazing renditions that sound every bit as fabulous as the originals. An outstanding comedian will almost make you fall out of your chair from laughing. Make plans to treat yourself to a night of world-class entertainment in Branson by purchasing your tickets to the show today! Excellent show. Very entertaining. We bought the tape and watch it often. Great show. Enjoyed everything they did. Hope to see them again.